On another gorgeous autumn day Milson Park was busy with many families enjoying Mother’s Day picnic. Limor Fayena, one of our new volunteers, decided to have her day in the garden with her husband and two children! Thanks to those who took the time to come to the garden yesterday, we managed to water, feed and plant new seeds of Arugula, Tatsoi (AKA spinach mustard), Pak Choy, Mesclun mix and Fennel. 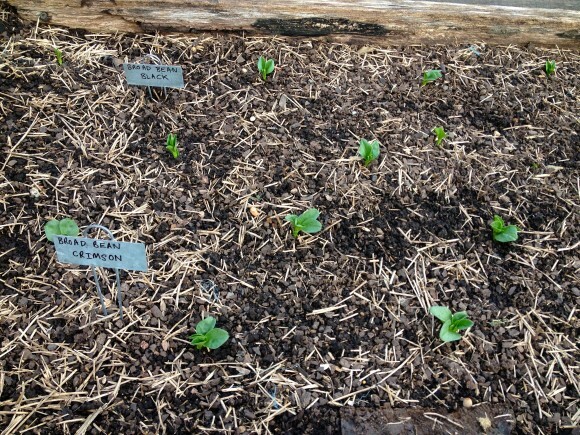 It’s great to see broad beans are coming up nicely both inside and outside beds. 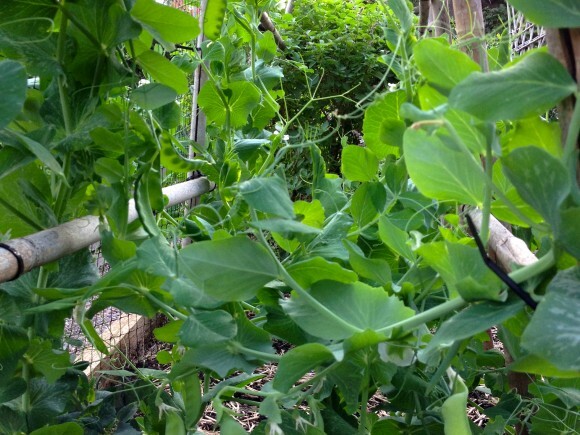 Sweet peas are also staring to come up after a couple of weeks and I spotted sugar snap peas and snow peas from our own seeds are beginning to flower and almost ready to be harvested. 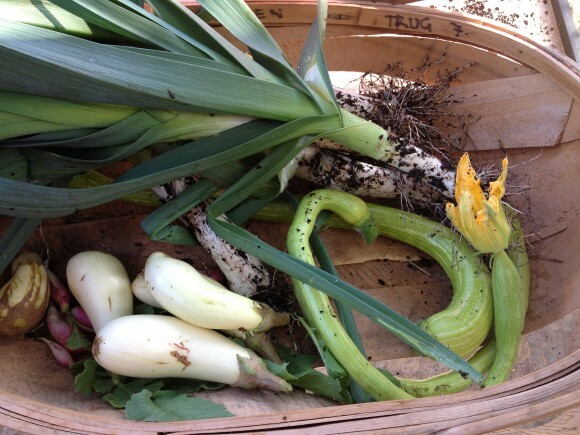 Tromboncino is coming close to the end of their season but we still harvested a few good ones, plus some healthy looking leeks and eggplants. 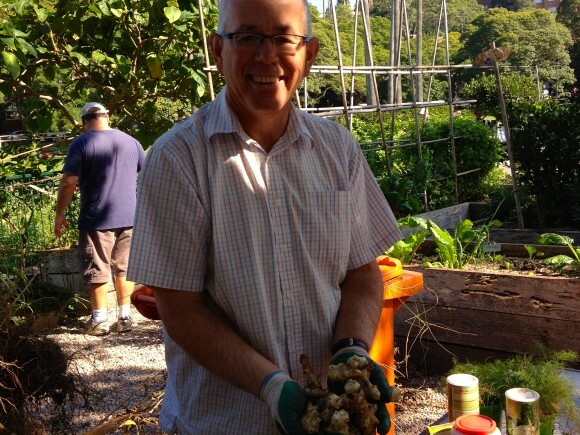 The second harvest of Jerusalem artichokes was so plenty that we had two trug full of them! Some will be kept for the next planting though there are many still in the shed for those who missed out on the harvest yesterday. 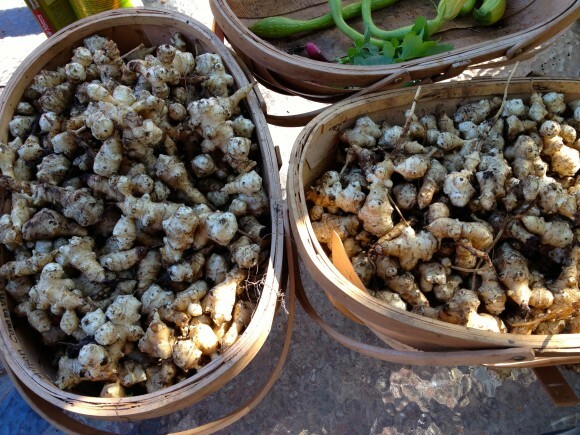 Limor kindly shared a couple of links for Jerusalem artichoke recipes of her cousin Moshe Basson, who is an established chef in Israel. Limor says, “as a child I remember going to trips in the woods with him and he would cook something on the spot from what we gathered along the way.” What a wonderful way to enjoy food in their natural season!